Urban Zen poplin shirt, featuring utility jacket styling. 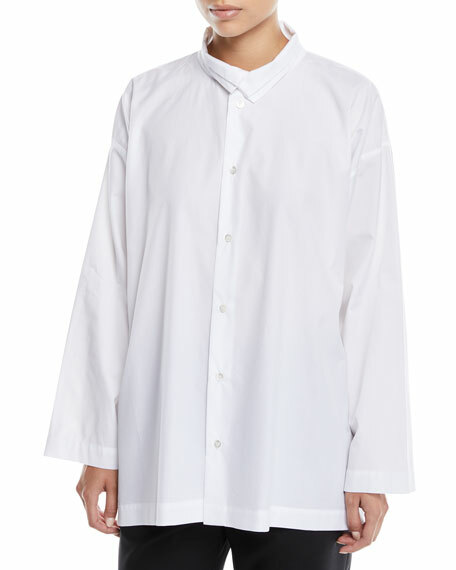 Spread collar; hidden button/zip front. For in-store inquiries, use sku #2479372. 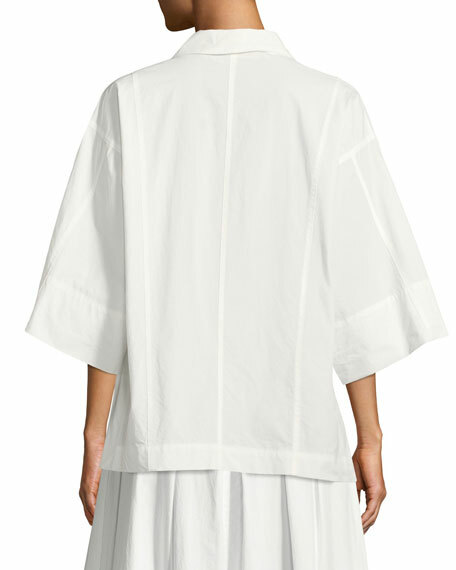 Chloe shirt in cotton poplin. High neckline with frilled trim. 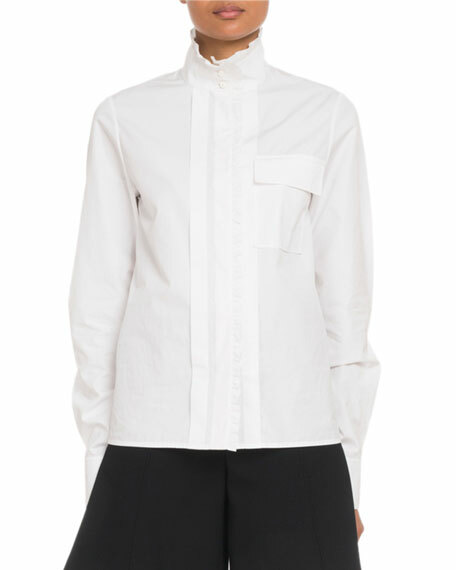 Hidden button front; pintucked details. Long sleeves. Utility pocket on chest. Straight hem. Boxy fit. Cotton. Imported. 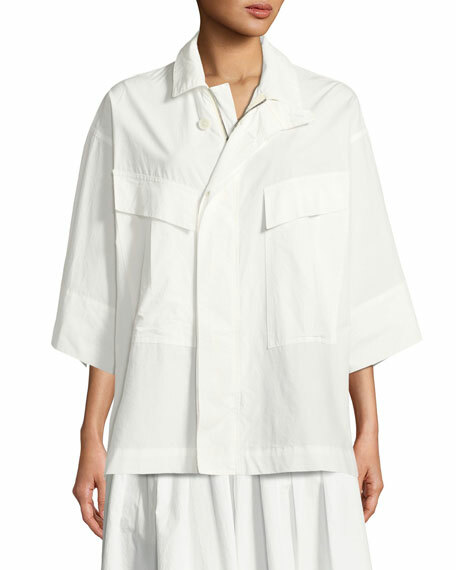 Michael Kors shirt in stretch-poplin. 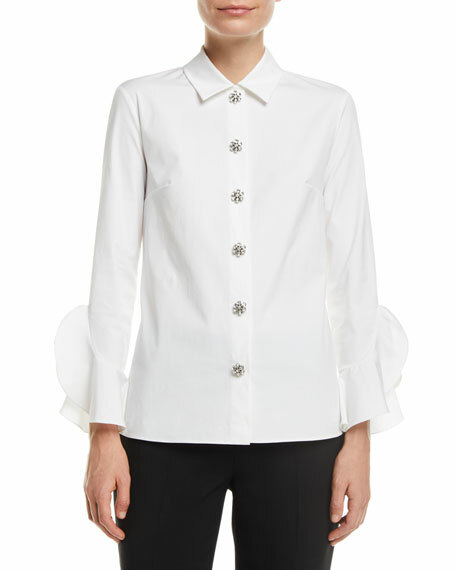 Spread collar; jeweled-buttons at front. Long, flare sleeves. Slim silhouette. Straight hem. Cotton/spandex. Made in Italy. Model's measurements: Height 5'10"/177cm, bust 31"/79cm, waist 24"/61cm, hips 34"/86cm, dress size US 2.